Ransomware is a type of malware that demands money by taking control of your PC. In general, it’s best to try to avoid paying the ransom. If it appears you have no choice, then that's indication the ransomware has exposed critical flaws in your PC, backup and recovery procedures. Due to inadequate offline or cloud backups, many users have been hit by ransomware attacks that infect files on their PC. There are two major types of ransomware that are currently used by cybercriminals to extort money from users. The most common type of ransomware is crypto ransomware. Its primary aim is to encrypt victims' personal data and files. Another type of ransomware is locker ransomware, which is designed to lock victims' computer and prevent them from accessing their computer. Be sure to install an Antivirus with heuristics technology, which recognizes potentially dangerous processes, such as encrypting files. You can expose your PC to ransomware by downloading infected software programs or by opening malicious files that arrive in phishing emails. Of course, antivirus software scans such downloaded files. But, your antivirus software may be outdated. Ransomware can be prevented if your PC is running a fully updated version of Windows with updated software applications and antivirus software. If you've confirmed that ransomware is on your PC, you can prevent it from doing any harm by immediately disconnecting your computer from the internet, reformatting your storage drive, and reinstalling the operating system and other software from a backup. Be sure to back up your PC and always use up-to-date security software (antivirus) equipped with specific anti-ransomware technology. Ransomware is a severe threat to your PC and your data. 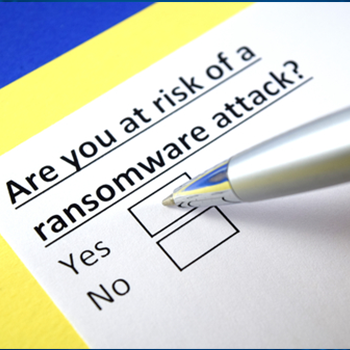 Practice safe computing habits and use up-to-date security software to prevent ransomware. For enterprise where there are multiple endpoints, Comodo Advanced Endpoint Protection (AEP) is ideal. With a built-in containment engine and 'Default Deny' platform, Comodo AEP provides 360-degree protection against any malware threat, including ransomware. Comodo AEP comes with antimalware, antivirus, and firewall along with a Host Intrusion Prevention System (HIPS) to contain even the most pervasive malware. It blocks ransomware attacks by examining and sandboxing suspicious files, applications, and processes.